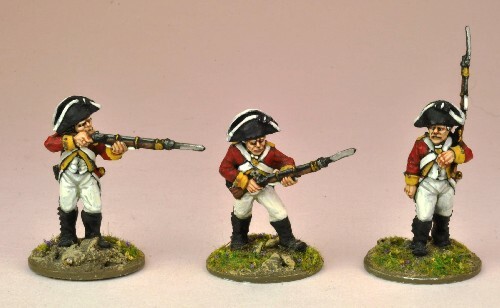 These miniatures can also be used for British Regulars of the period. Figures are 28mm sized, made of metal and supplied unpainted. Trent Miniatures are not toys and unsuitable for children under the age of 14.